Blockchain For Dummies is an introductory reference to the blockchain technology. Blockchain is the foundation for Bitcoin, the virtual currency that’s been grabbing headlines for the past year, but it has a wide range of applications beyond digital currency. 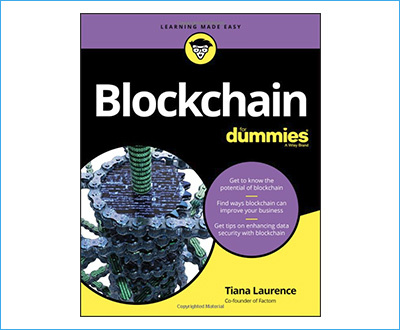 If you are interested in blockchain explained for dummies, Tiara Laurence’s book might be a good read for you. This review will give an overview of this book, along with its strengths and weaknesses. Blockchain For Dummies is written by Tiana Laurence, one of the founders of Factom, a blockchain-based technology company with grants and partnerships with the Department of Homeland Security and the Bill and Melinda Gates Foundation. She has extensive experience with blockchain technology, and writes a regular column on the topic. Check PriceBlockchain for Dummies explains the basics of blockchain, giving readers with no previous blockchain familiarity a working understanding of what blockchain actually is. 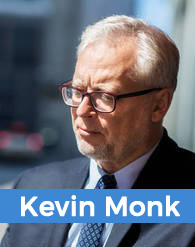 It also explains some of the applications of blockchain, including the impact of blockchain on data security and some of the future markets and industries which blockchain is poised to transform. The book covers a range of current blockchain solutions out there today, and even guides the user through the creation of a simple but functional blockchain application. At 240 pages, the book would take a moderate amount of time to read from cover to cover. However, it’s broken up and organized into a number of discrete sub-topics, meaning that it can be consumed in smaller chunks if that’s what the reader prefers. An introduction to the way blockchain technology works at a level a beginner can wrap their mind around. An explanation of how blockchain technology intersects with the way data is passed in the age of the internet, and why blockchain is an ideal vehicle for all types of data as our world becomes more connected and digital. An understanding of the potential blockchain has to change any number of industries and businesses. Knowledge as to how blockchain can secure data to a greater extent. Presentation of a number of current and emerging blockchain applications, solutions and technologies, spanning a wide range of fields. This covers prominent examples like Bitcoin to far more obscure but promising applications. A look to the future of blockchain, highlighting fields in which blockchain is currently not widely integrated, but in the near future stands to become massively disruptive. Tips and explanation as to how to acquire your own blockchain solution to fit your needs. A tutorial on creating your own simple but working blockchain application. A list of ten fundamental blockchain rules that should never be broken. One of the big selling points for Blockchain For Dummies is the credibility Tiana Laurence brings to the table as the author. Her experience as a founder of an early blockchain-based company which has already made inroads into mainstream industry carries a lot of weight and makes it easy to trust that what you’re getting in this book is legitimate and exhaustive. You might also like: What Is Cryptocurrency Mining? Beyond that, the book does a nice job of presenting blockchain technology in a way that a beginner can easily grasp. Using a variety of resources, the book starts at a high level with relatively little technical detail, and eventually drills down into more technical minutia. For someone with a pre-existing moderate to high level of knowledge about blockchain, this book may be a bit frustratingly simple, especially if you’re interested in the underlying algorithms that make up a blockchain application. However, if you weren’t familiar with blockchain going into reading the book, you’ll find that the level this book is on will probably match your level of understanding. Probably the biggest criticism of this book is more for what it isn’t than what it is. Blockchain For Dummies isn’t for a computer scientist looking to build a complex, robust blockchain application for real-world use. This book shouldn’t be looked at as a technical document. Hopefully, that would be understood based on its existence within the ‘… For Dummies’ series, but those looking for a document that delves into extreme technical specifics will come away disappointed. Blockchain For Dummies is a competent basic introduction to the concept of Blockchain technology. It explains the concept in understandable terms and lays out some of the ways that blockchain will change the way industry functions in the near future. Please feel free to share your own experiences, questions or your own Blockchain for Dummies book review below.